Being in the film industry for eight years, Bulldog Productions is an independent production company that specializes in commercial campaigns and short films. Sharing the same passion for storytelling and the creative process, the team ensures that no magic is lost as a project travels through the various stages in production. 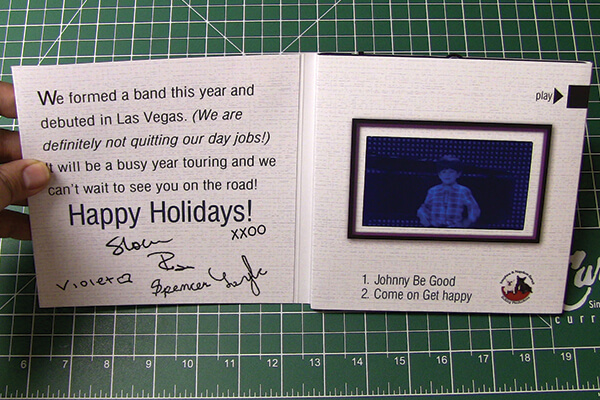 Bulldog Productions is using bigDAWGS’ Video Greeting Cards to promote the world tour of The Barnetts. Everyone at Bulldog Productions and The Barnetts wishes everyone a Happy Holidays and they cannot wait to see you all on the road!